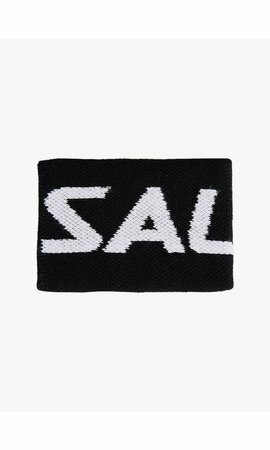 The Salming Adder offers you just that bit of extra support, stability and wearing comfort that you need in order to keep your opponent under pressure. 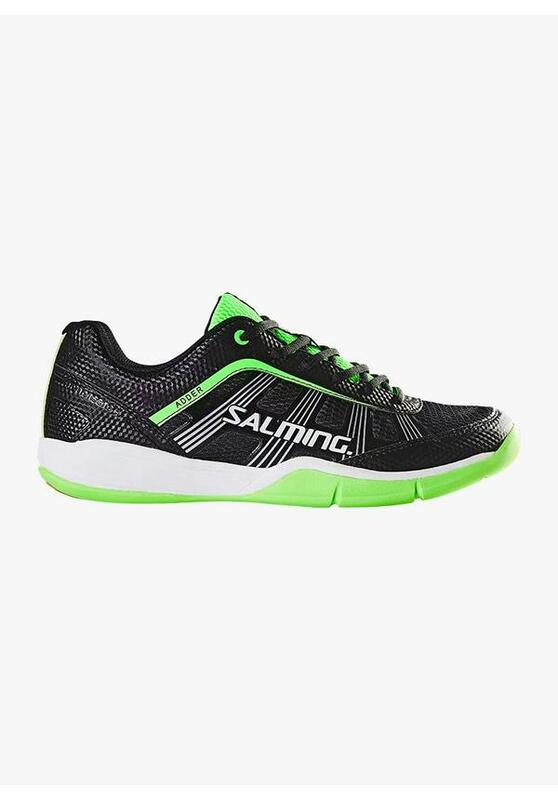 This popular shoe has the lowest profile (the height from the ground surface to the sole of your foot) of all Salming indoor shoes. 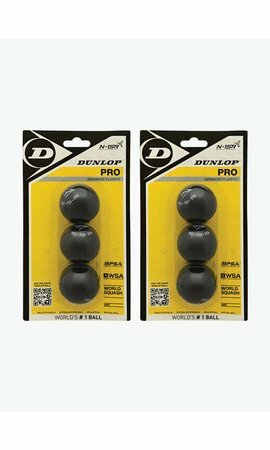 This not only ensures maximum stability but also a perfect feel of the floor. The Salming Adder is equipped with innovative technologies that give your feet optimal protection and support in sports in which you make a lot of explosive movements. 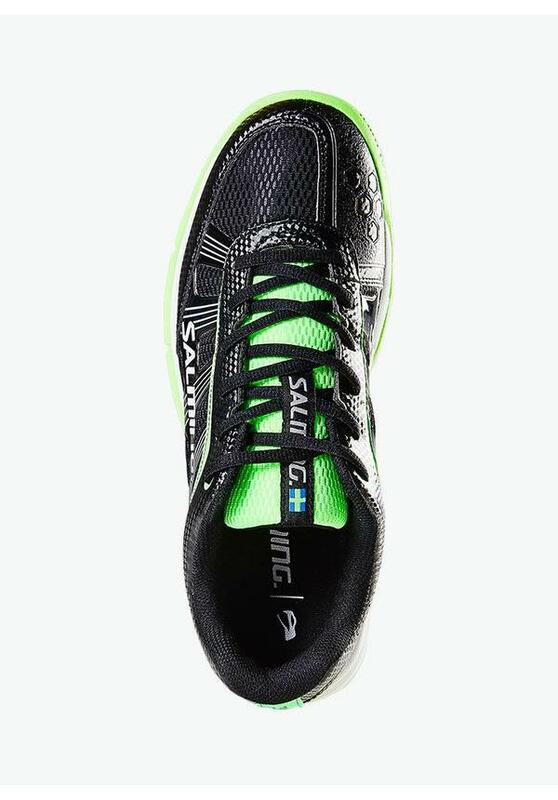 The Salming Adder has a special midsole that provides maximum shock absorption and extra comfort. 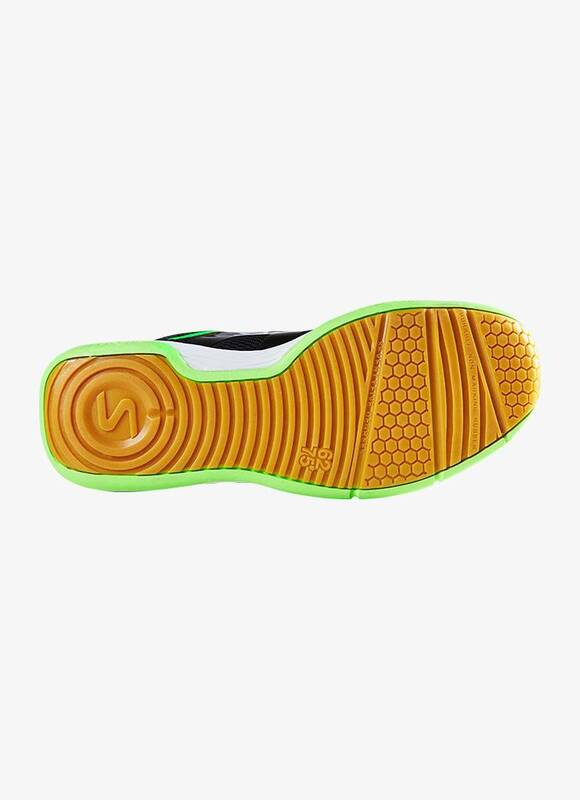 This C35 foam provides 70% better shock absorption than a regular midsole. 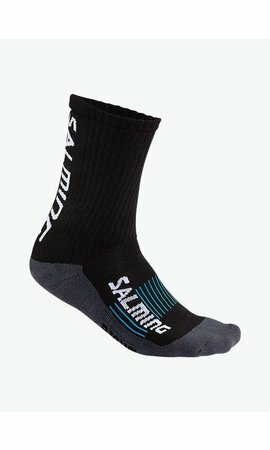 The heel part is also reinforced. The T.G.S. 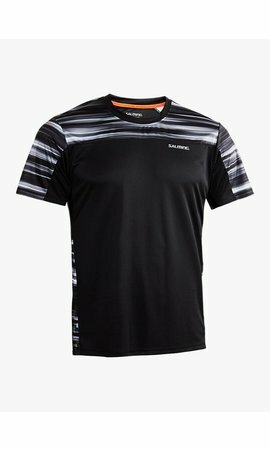 62/75 provides more stability and control. 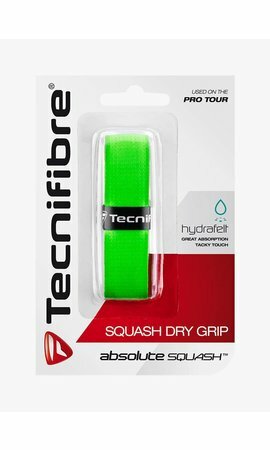 In sports like squash, rapid lateral steps expose the foot to the risk of swallowing and this can lead to nasty injuries. The LMS + system (Lateral Movement Stabilizer Plus) is a unique design that prevents the foot from twisting outwards. The Exoskeleton system stabilizes the foot in lateral movements and reduces the pressure on the MTP joint. 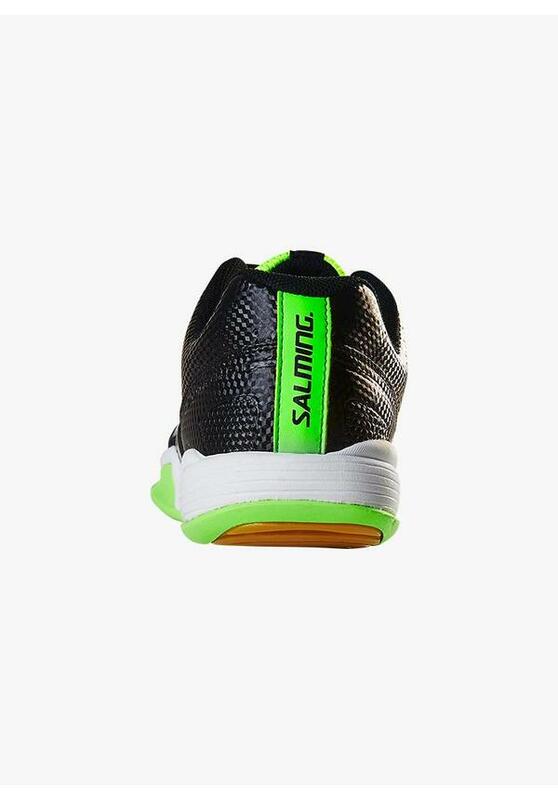 This system connects the inside of the shoe and the tongue with the lacing system. 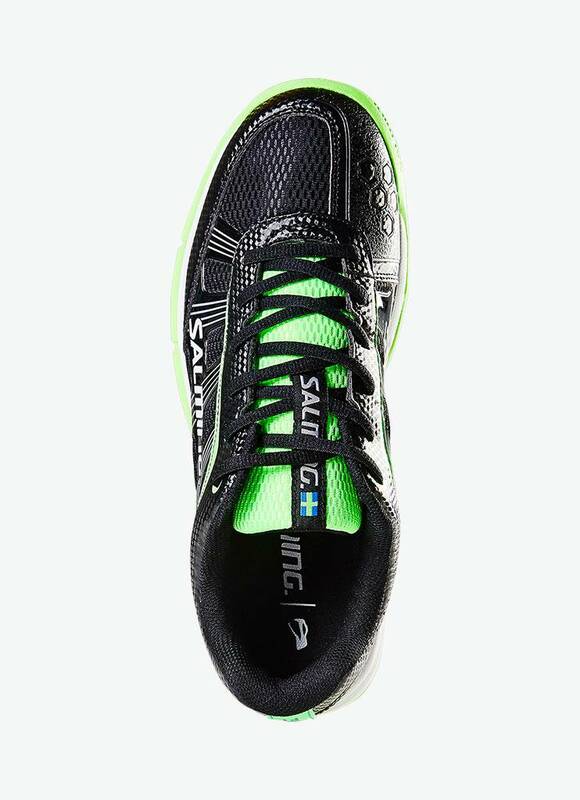 It is important to keep the foot mediolateral, so that friction and lateral forces are avoided in the soft parts of the sole of the foot. 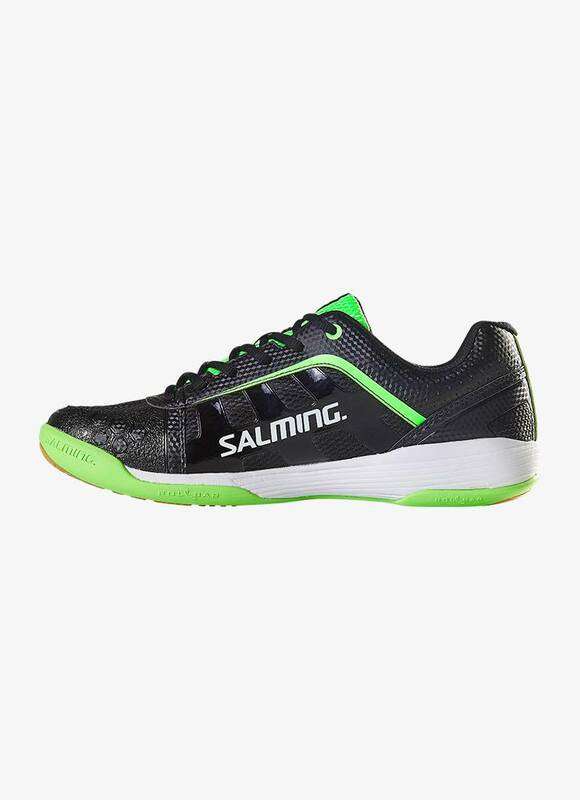 The beautiful design of the Salming Adder in the black colour with green details can easily be combined with any type of sportswear.